* CSU student Shannon O’Mara will graduate with a Bachelor of Communication (Public Relations) / Bachelor of Business Studies this Thursday 13 December in Bathurst * Has been offered a full-time position at Sefiani Communications in Sydney * STRIVE leadership program assisted in further growth as a leader Charles Sturt University (CSU) Bachelor of Communication (Public Relations) / Bachelor of Business Studies student Shannon O’Mara (pictured) will graduate in Bathurst this Thursday ahead of taking on a position with Sefiani Communications in Sydney in 2019. Ms O’Mara completed her degree full-time in Bathurst, where she also held the position of Head Resident for Towers (Bathurst) campus and also participated in STRIVE, a CSU Student Leadership Program. The STRIVE leadership program according to Ms O’Mara was something that offered further growth as a leader in the community. “I completed STRIVE in 2017 in the pilot stages of the program. It helped me take a look at my abilities to be able to grow as a leader in my role as Residential Advisor at the time, but also equipped me with the skills for future employment,” Ms O’Mara said. The Newcastle local chose CSU in Bathurst to fulfil her studies, due to a keen interest to fall into a fast-paced industry after graduation and a love for people. “A good family friend suggested a career in PR, and for me, CSU’s Bachelor of Communication (Public Relations) /Bachelor of Business Studies matched my selection criteria perfectly.” Having completed a number of internships including a five-month-long stint with Australian University Sport on their Eastern Uni Games in Newcastle in 2017 and a month full-time DEC PR in Sydney, Ms O’Mara is eager to sink her teeth into full-time work in 2019. “I have been offered a job at Sefiani Communications in Sydney where I will commence in January next year. It’s been great having completed internships to get a sense of the type of work I can look forward to.”With access to many CSU lecturers and mentors that are heavily connected and enjoy varied PR industry experience, Ms O’Mara attributes her university experience to them. “Aside from being able to live with my best friends, it was that I could live and learn regionally while being taught by some industry professionals that spanned a wide range of careers.” “To me, this was a highlight and so important ahead of going into the workforce full-time” Ms O’Mara said. * CSU student Meaghan Kempson will graduate with a Bachelor of Education (Health and Physical Education) this Thursday 13 December in Bathurst * Has been offered a Department of Education Rural and Remote Teaching Scholarship * Extra-curricular offerings and social life shaped Ms Kempson’s all-round CSU experience Charles Sturt University (CSU) student Meaghan Kempson (pictured) will graduate this Thursday in Bathurst ahead of commencing her first teaching role in a rural or remote school as part of being offered a Department of Education, Rural and Remote Teaching Scholarship. Originally from Orange, Ms Kempson moved to Bathurst and lived on campus to study a Bachelor of Education (Health and Physical Education). A course selection, Ms Kempson said “to help improve the current health and wellbeing status of young people throughout Australia.” “Undertaking an occupation in education allows you to play a positive role in shaping the youth and empowering them to one day exert control over their health and support the wellbeing of others around them,” Ms Kempson said. “Education is ultimately the key to breaking the cycle of disadvantage and reducing the burden placed on the health care system.” With a passion and love for sport, the recent Department of Education scholarship recipient took on many extra-curricular activities during her time at CSU, each with an emphasis on sport and leadership. These included being an Australian student ambassador at the International University Sports Federation (FISU), participant, medal-winner and captain in five University games events, President of the CSU Football Club in Bathurst, President of the CSU Sports Council and soccer captain. Ms Kempson said that her greatest sporting achievement at CSU was being part of the CSU University Nationals team who took home the Tom O’Sullivan Spirit Award for displaying the values and foundations that embody Australian University Sport. Crediting the extra-curricular and social life at CSU, Ms Kempson said this shaped her university experience by creating an immediate sense of comradery, support and pride. “Throughout my degree, I felt valued and respected by all staff. I can certainly credit my academic success to the personalised and somewhat intimate nature that comes with attending a regional university,” Ms Kempson said. Continuing her interest in sport and leadership outside of teaching, Ms Kempson will be travelling to Russia in February as a result of her achievements at the 2018 FISU Volunteer Leaders Academy, and will be representing Australia in a volunteer capacity at the Winter Universiade in Siberia. Ms Kempson will be allocated her teaching position in 2019 in a rural and remote area that is yet to be advised. * Thousands to visit Bathurst for six 2018 graduation ceremonies on Thursday 13 and Friday 14 December * Approximately 755 students will graduate from 22 Schools in three FacultiesCharles Sturt University (CSU) will host six graduation ceremonies in Bathurst on Thursday 13 and Friday 14 December.These are part of the wider graduation season during December across all main campuses as well as in Parramatta (for School of Theology) and the Study Centres in Sydney and Melbourne.The season starts on Monday 10 December in Wagga Wagga and concludes in Albury-Wodonga on Wednesday 19 December.Approximately 755 students will graduate across all ceremonies at CSU in Bathurst, and thousands of family members and friends will celebrate the achievements of the students.Deputy Vice-Chancellor (Students) and Acting Head of Campus at CSU in Bathurst Ms Jenny Roberts (pictured) said, “We congratulate our graduating professionals with their friends and families on the successful completion of their studies.“Charles Sturt University takes pride in producing job-ready professionals who enter the workforce very insightful, making a positive impact, creating an inclusive society, and inspiring others.“More than 750 graduates will receive their testamurs from the University in Bathurst this year.”Paramedicine graduate Mr Alki Pazpinis from Kensington in Sydney will graduate from the School of Biomedical Sciences at the 6pm ceremony on Friday 14 December. 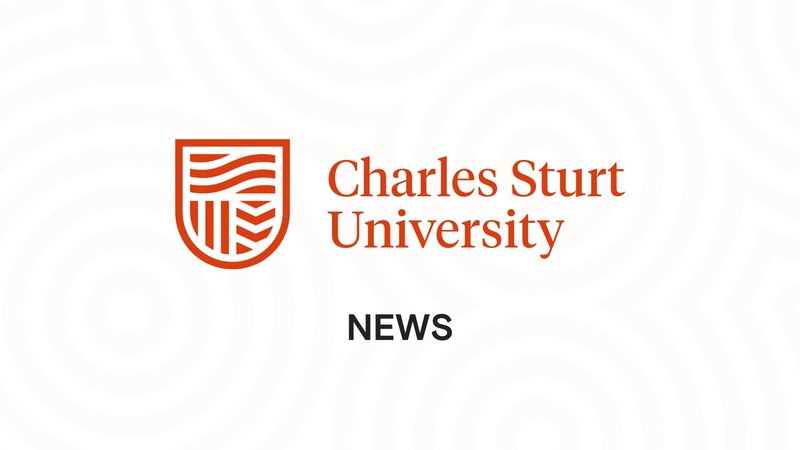 He said, “Charles Sturt University has taught me how to be a leader of the future through a variety of different leadership courses and opportunities to practice what I have learnt in order to better my practice. All these skills are transferable to my chosen career of paramedicine.”Thursday 13 December:Bathurst at the CD Blake Auditorium (the gym), building 1220 at CSU9.30am - 167 graduates from various Schools in the Faculty of Business, Justice and Behavioural Sciences; School of Computing and Mathematics, School of Accounting and Finance, School of Psychology, School of Policing Studies, the Centre for Customs and Excise Studies, the Centre for Law and Justice, and the Australian Graduate School of Policing and Security. The Occasional Address will be delivered by NSW policing expert Mr Tony Trichter, who will join CSU in an academic role in 2019. 2pm - 164 graduates in the Faculty of Arts and Education; School of Teacher Education, School of Education, and School of Humanities and Social Sciences. The Occasional Address will be delivered by psychologist Dr Michelle Mulvihill who grew up in Bathurst and attended MCAE before furthering her studies elsewhere and moving to the Southern Highlands.A graduate of note at this ceremony is Dr Ben Pham from Vietnam who will graduate with her PhD in speech pathology. Dr Pham studied at CSU in Bathurst and was involved in the VietSpeech project.6pm - 113 graduates in the Faculty of Arts and Education; School of Communication and Creative Industries, School of Indigenous Australian Studies, School of Information Studies, the Division of Student Learning, and the Academic Success Unit.Friday 14 December:Bathurst at the CD Blake Auditorium (the gym), building 1220 at CSU9.30am - 43 graduates in the Faculty of Business, Justice and Behavioural Sciences; School of Management and Marketing. The Occasional Address will be delivered by current Head of the CSU School of Management and Marketing, Associate Professor Mark Frost.2pm – 136 graduates in the Faculty of Science; School of Nursing, Midwifery and Indigenous Health, School of Dentistry and Health Sciences, School of Community Health, School of Environmental Science, School of Agricultural and Wine Sciences, School of Animal and Veterinary Sciences.6pm – 132 graduates in the Faculty of Science; School of Biomedical Sciences, and School of Exercise Science, Sport and Health (formerly the School of Human Movement Studies). The Occasional Address will be delivered by CSU alumna and exercise physiologist Ms Shannon Short. Her business, BODY FX Exercise Physiology Services, is based at the Ochre Health Medical Centre at CSU in Bathurst. Three PhDs in exercise science will be conferred at this ceremony. * Next Stage Growth program helps refine products and develop business skills * Expert guidance and fellow businesses provide insights and refinements * Program offers flexibility and potential to seek export marketsCharles Sturt University’s (CSU) CenWest Innovate has helped a former farmer develop his technology company through the Next Stage Growth program.Mr Hamish Munro is an unlikely tech entrepreneur, coming to it from a life on the land, but alongside business partner Mr Robbie Scott, the two are growing a business with eyes fixed on offering cloud-based technology solutions.With their business based in Central West NSW, Mr Munro found out about CenWest Innovate and decided to apply for the Next Stage Growth program to help him refine one of his products and to develop his business skills.“Coming off the farm I needed to understand marketing, social media, networking, customer management and even human resources ,” Mr Munro said.“We launched Zipmin and two other products which we are still trying to get off the ground but because it is expensive to tweak the products, I decided to apply for the program to help guide me in refining them.”Six months on and after completing Next Stage Growth, Mr Munro said it helped him evaluate the business model he was operating with and to “smooth out the rough edges”, especially when he turned his attention to the other less developed products he was offering.During the program Mr Munro and others completing it would meet on the first Thursday evening and full-day first Friday of each month so they could talk about a particular issue.“Over the eight-hour workshop a speaker would talk to us in-depth about a topic, like pricing or consumer insights, that I could apply to the business.“I struggled with pricing in the past, so now I am toying around with different models to find the one that gets the greatest acceptance,” Mr Munro said when talking about one of the topics that stood out for him.“On top of the mentoring we also got to know one another’s business and were comfortable in offering advice or a perspective that we may not have considered.“People spoke freely. Someone would throw in an idea or decision they thought of doing in their business which the collective thoughts of the group could then refine,” Mr Munro said.An added benefit of the program according to Mr Munro was its flexibility, and that it had the potential for helping him look at export markets.“As we offer a cloud-technology product we aren’t restricted to the Central West or Australia,” Mr Munro said.CenWest Innovate program coordinator Ms Christine Sweeney who is involved in Next Stage Growth program said Mr Munro was a great example of the type of people and businesses who benefit from the program.“Hamish had an innovative product but didn’t have the knowledge or the confidence needed to promote and sell it,” Ms Sweeney said.Next Stage Growth works well in these situations because business owners can tap into the resources and network made available to fill the gaps and build the confidence they need to promote their business.”Ms Sweeney said the CenWest Innovate incubator had been developed with the NSW Department of Innovation and funding from the NSW Government.“The Next Stage Growth program works with a variety of businesses, from small, to large manufacturers, construction, and machinery, and small tech.“Businesses in the regions are even more reliant on innovation for growth than those in metropolitan areas because the stakes are a lot higher if they lose a customer or income stream,” Ms Sweeney said.Ms Sweeney said CenWest Innovate and the program had received state funding for two years and that it had been extended another two through to 2020, its success and the confidence in the program.Aside from CenWest Innovate, CSU operates an AgriTech Incubator in Wagga Wagga, and the Walan Mayinygu Indigenous Entrepreneurship program.